ABA Section on Legal Education and Admissions to the Bar - Determines law school adherence to the American Bar Association Standards for Approval of Law Schools. Recommends the accreditation of law schools by the Association. American Association of Law Schools (AALS) - The learned society for law teachers. Legal education's principal representative to the federal government. Center for Computer-Assisted Legal Instruction (CALI) - A collaboration of the University of Minnesota Law School and Harvard University Law School, CALI distributes a library of computer-assisted tutorials written by law professors from around the country in a myriad of computer formats and using different educational models. FindLaw Law for Law Students - Admissions and other legal education information links. JURIST - Law professors' network dedicated to advancing the study and understanding of law by providing an authoritative non-commercial forum in which law professors, students, lawyers, judges, journalists and citizens can share a wide range of legal information and ideas. Site includes Law School Exams and Bar Exams/Admission information, along with a great deal of other useful information. Kaplan - A leader in test preparation, admissions, and tutoring. Law School Admission Council (LSAC) - Nonprofit, corporation whose members are 197 law schools in the U.S. and Canada. LSAC administers over 100,000 LSATs each year. LSAC also provides a number of services and programs for law schools, applicants, and students. 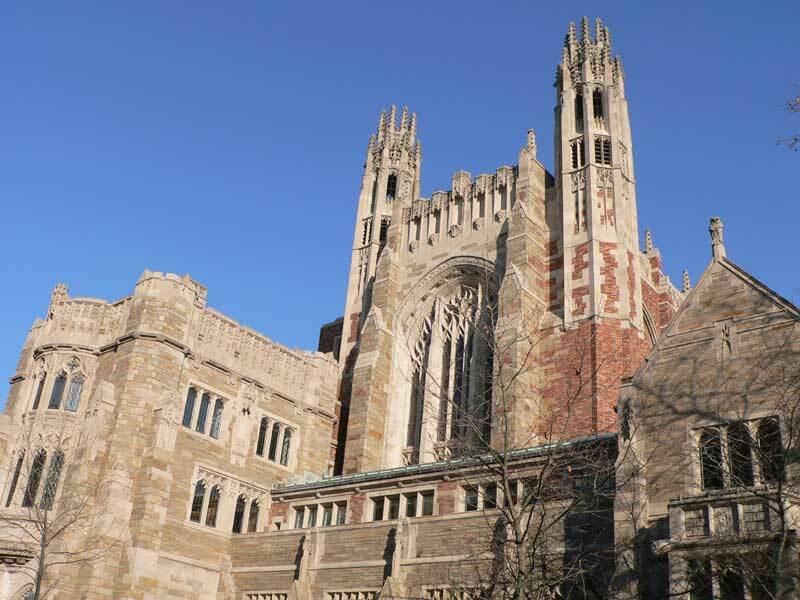 Law School Locator 25th to 75th Percentile Scores - The Boston College Law School Locator lists the 25th to 75th percentile LSAT scores and GPA ranges of first year classes at accredited law schools. This means that half of a law school's entering class scored in the range indicated. The Locator can help you identify schools where your scores and grades are most competitve for admission and help you gauge your chance of admission at a particular school. Law School Transparency - A nonprofit legal education policy organization dedicated to improving consumer information and to reforming the traditional law school model. National Association for Law Placement (NALP) - Educational organization established to meet the needs of legal employment process law schools, legal employers, law students and graduates for information, coordination, and standards. Site includes A Working Glossary of Various and Sundry Law Placement and Legal Recruitment Terms and Jargon. National Conference of Bar Examiners (NCBE) - The mission of the Conference is to work with other institutions to develop, maintain, and apply reasonable and uniform standards of education and character for eligibility for admission to the practice of law, and to assist bar admission authorities by providing standardized examinations of uniform and high quality for the testing of applicants for admission to the practice of law, disseminating relevant information concerning admission standards and practices, conducting educational programs for the members and staffs of such authorities, and providing other services such as character investigations and conducting research. FindLaw Law Schools A-Z - U.S. law school links. Hieros Gamos - Worldwide directory of law schools and related resources. USC Directory of Law Schools - Directory of law schools and legal organizations. Also see Law School News, a news reader that brings together feeds from law schools around the country. American Bar Association (ABA): Foreign Study - In addition to approving law schools in the U.S., the American Bar Association also approves foreign study programs for students who are currently enrolled in ABA approved law schools. Legal Study Abroad Headquarters - This site serves as a one-stop guide for law students everywhere: (1) for U. S. law students who wish to study abroad, access information on enrollment in one of more than 100 ABA-approved formal study abroad programs or, alternatively, the creation of an individual (ad hoc) study abroad program for a semester, year, or L.L.M. study at any law school in the world, or (2) for non-U. S. law students who wish to study in North America, access information on enrollment in an American law school as a foreign exchange or L.L.M. Brian Leiter's Law School Rankings - Rankings based on detailed surveys completed by 150 leading legal academics. Law School Ranking Game, The - Law schools play ranking games to win your attendance. The Ranking Game lets you make your own rankings of law schools based on your preferences. 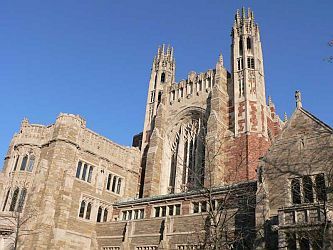 Top Law Schools - From U.S. News & World Report. U.S. News and World Report: Best Law Schools - U.S. News rankings of 198 law schools fully accredited by the American Bar Association based on a weighted average of the 12 measures of quality. This webpage last updated on Monday, August 21, 2017 9:31 AM.